BASICALLY, WE BUILD APPS FOR EVENTS. 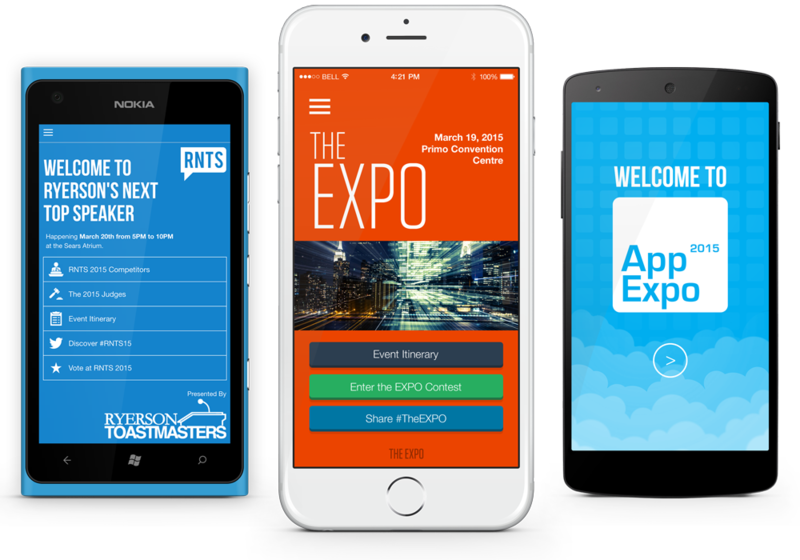 Make your next event more fun and engaging for your audience with interactive mobile apps from Eventerac. Combine the power of social media, the latest web and mobile technologies and a variety of new smartphone features to create a more connected and engaging experience for your attendees. Smart social media features keep your attendees connected to your event through Facebook, Twitter, Instagram and more. A dynamic itinerary with live updates and instant push notifications, your attendees will always know what’s going on at your event. Gain valuable customer data with attendee surveys and other essential analytics. With custom-built app features like voting, live games and more, you can design a customized experience for your users. 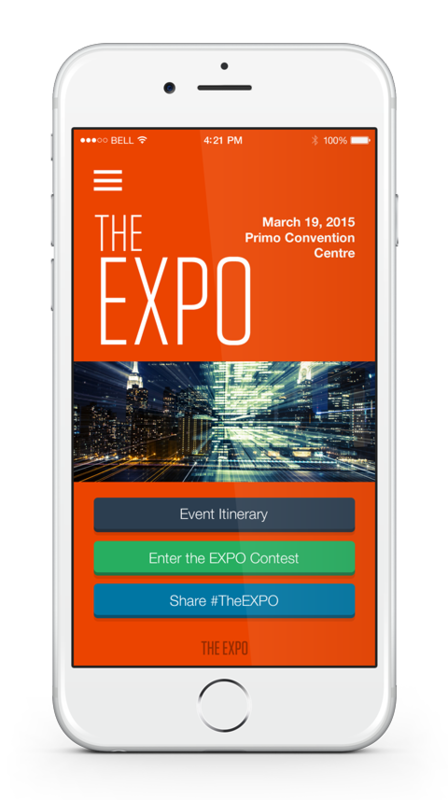 Send your attendees live event updates and notifications straight to their mobile devices. Engage attendees with scavenger hunts, live quizzes and other fun mini-games. With awesome photo taking and sharing features built right-in, you can communicate your brand with even more effectiveness online. Event sponsors will love the Sponsors area in your app where you can share links, brand websites, social media pages and more. With interactive polling you can discover more about your audience instantly with live questions. 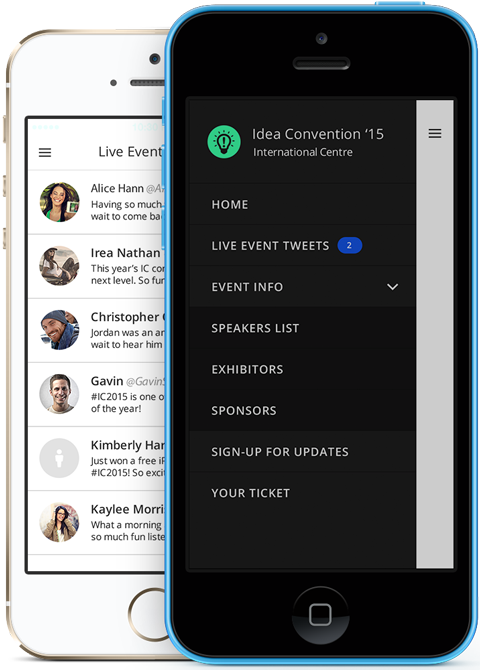 Ready for your own awesome event app?